We are thrilled to be working with the Texas based Sure Fire Taco team on their new concept in Columbia, SC. 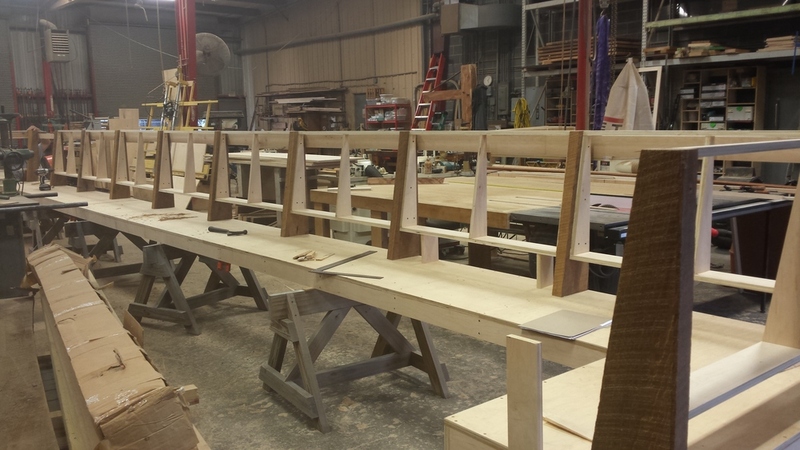 Pictured below is the 33' bench seating and reclaimed Oak table tops with custom metal bread board ends. Stay tuned for more progress pics!